(CNN) – Quick passage of a bill to provide back-pay to furloughed federal workers appeared in doubt on Monday when the No. 2 Senate Republican said it’s not time to address that issue right now. Cornyn said he didn’t expect Senate Majority Leader Harry Reid to bring it to the floor because of GOP objections. The House unanimously passed a bill on Saturday to provide back pay to the hundreds of thousands of federal employees impacted by the government shutdown, and the White House said it supported it. In past shutdowns, Congress routinely approved similar measures. 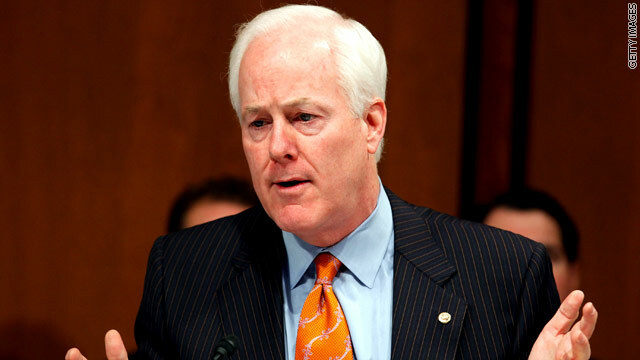 Cornyn said if Democrats put the bill on the floor Republicans would not be okay with legislative shortcuts to pass it – such as a voice vote or unanimous consent agreement. I find it very sad that HARD working American who work for the Federal government are being told by Senate Republicans that there is no urgency (because the government is shutdown) to pass a bill which the House and the Obama administration support. These same politicians are however still being paid their salaries. People take note: These republican are standing up for you who have bills to pay and family to support. Wow November 2014 can't come quickly enough. Oh Yeah!. These Repubs are everywhere. They can really attach themselves at any part of every issue. No progressive person could easily be swayed by any opinion of every Repub without a pinch of salt. While griping about waste in the government they have told 800,000 federal employees to take a paid vacation for a yet undetermined length of time. Where is the logic? The GOTP have made themselves a laughingstock. Time to laugh them right out the door. This may not be urgent for Senators who have prime uninterrupted health insurance, but regular federal workers are worried about a lapse in some of our health care coverage because of the lapse in pay. This is urgent because it affects the healthcare of our children! Come on, end the shutdown or at least give us the peace of mind to know we will be paid and have health benefits. In the meantime, we are forced to somehow come up with the money the pay our mortgage and other bills. This is so irresponsible. Oh good Lord! Isn't there anything that these GOP/TPers will allow to be passed? While it might not matter to the House and Senate slackers–who are still being paid, by golly–knowing that they will get their back pay will certainly calm some of the worries of ordinary Federal employees–who neither asked for nor orchestrated this shutdown fiasco. Naturally, the GOP/TP idiots want to load up any bill for back pay with amendments to enact Romney's and the GOP's (the ones who LOST the last election) little dream list. Bah! No matter what Republicans tell you in 2014... their actions say they HATE you. Where are the Obamacare sign-up numbers? Time to impeach Obama, recall Reed, Pelosi, Boehner and Cruz for obstructing the legislative process, mis-representing voters. Take their jobs away and their healthcare that we the people pay for. So, Republican Senator Conyers wants to legislate now on the vote to pay furloughed federal employees. Where was this desire to legislate during the past 12 months? For the Senate to pass this legislation means at the least, federal employees will not have to worry about back pay. With the Republicans holding federal jobs hostage to the ACA, and now holding the debt ceiling vote hostage, I ask Senator Conyers, how did you vote during President Bush's years on raising the debt ceiling? Not only should they back pay federal employees they should back pay everyone who is losing pay from this! It isn't our fault we are losing pay. Or better yet the Republicans, since they are causing the shutdown, can give us their pay! Quick passage of a bill to provide back-pay to furloughed federal workers“ No. 2 Senate Republican said it’s not time to address that issue right now. There is no sense of urgency for us to do it. The federal government is shut down,” Well I'm one of those furloughed workers, and I anly make $21.00 an hour. We were out due to shutdown for one week, and called back the secound week. Delaying or not acting on this could effect wheather we are able to provide food, rent or morgage for our family, and other such things we need to s survive. Most of the dederial workers effected are iin this class that live paychech to paychech. The people in Congress that are making $185,000.00 aa year and are not effected by the shutdown. Does this Congressman beleive we are just cattle and can be treated as such. I beleive the election next year will see many changes. Weirdly enough, I agree with Cornyn, though undoubtedly for different reasons. Cornyn is a nasty rebel who will be thankfully leaving the Senate soon and he doesn't care about people. My reason is that we should knock off the piecemeal legislation and raise the debt ceiling. NOW. Otherwise, the rebels get to fund things they like and not fund things they don't like. No to piecemeal legislation! Fund the WHOLE government. Now.